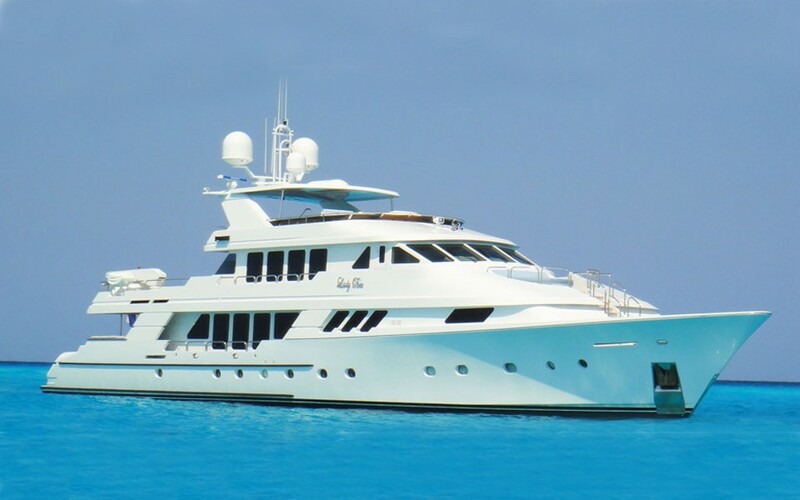 Motor yacht LADY BEE was designed and built by the well renowned Christiansen shipyard in 1995 and received a full refit in 2005, followed by a further partial refit in 2010. 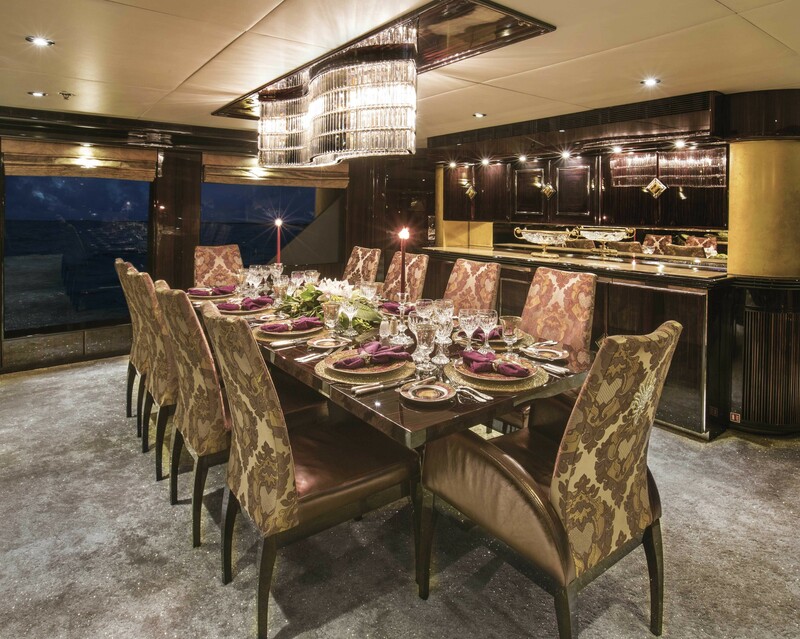 This 43.8m (142ft) luxury yacht offers accommodation for up to 12 guests. 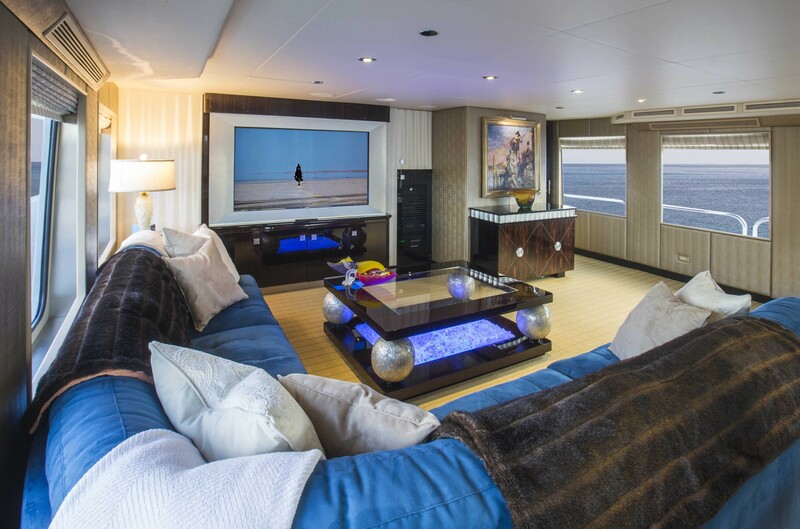 Motor yacht LADY BEE has plenty of interior living to enjoy and features an elegant décor of soft cream furnishings, rich dark woods and intricate detailing. 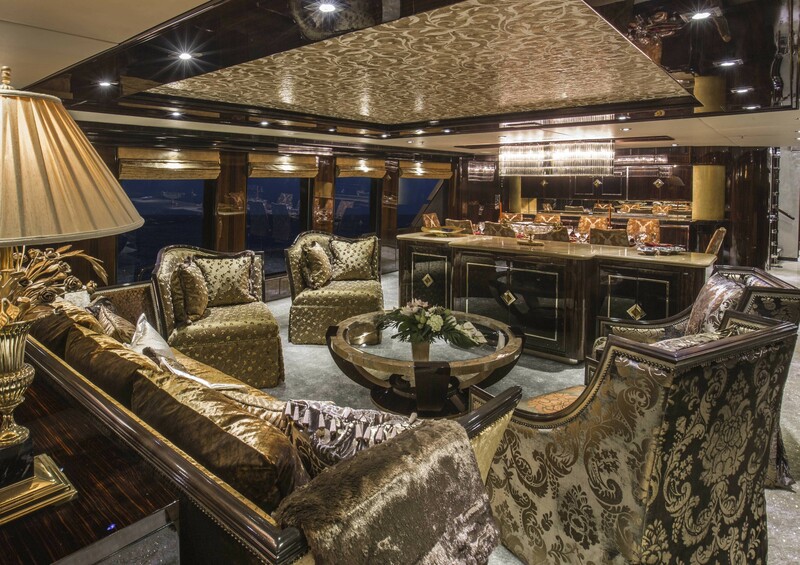 The main salon is generous and boasts the lounge aft, with a low island credenza separating the formal dining area forward. 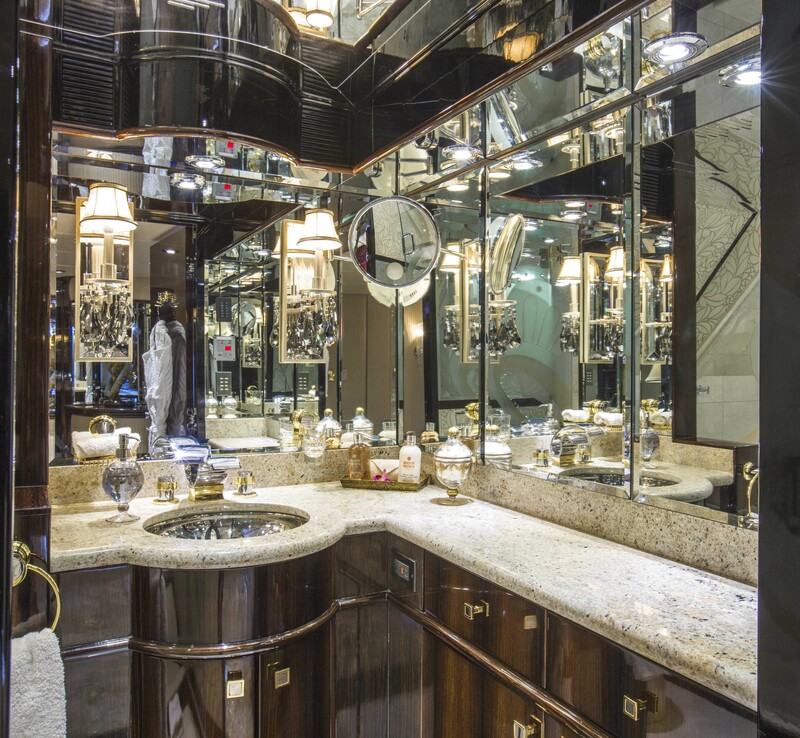 Thanks to the almost full-length vertical windows, the salon is light and airy, optional privacy blinds create an intimate ambience. 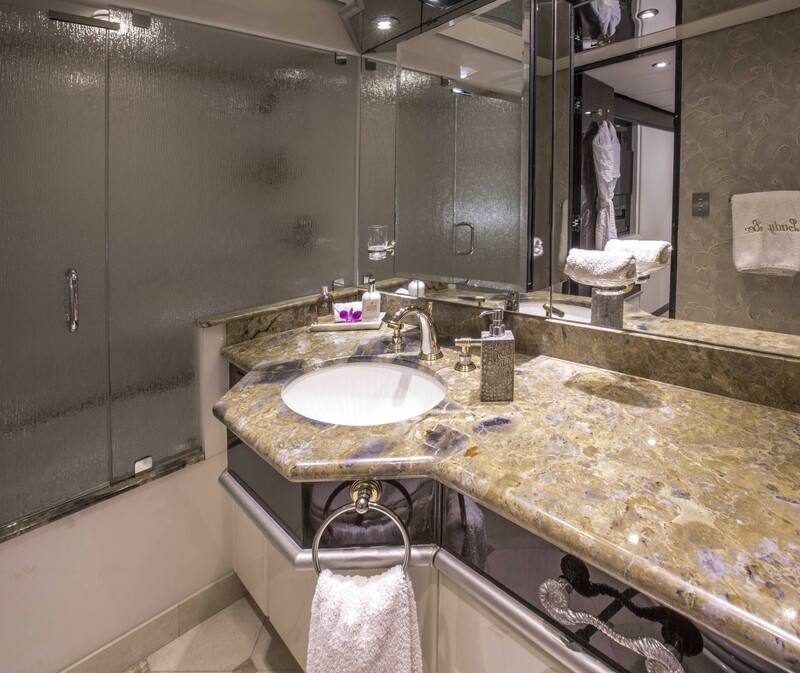 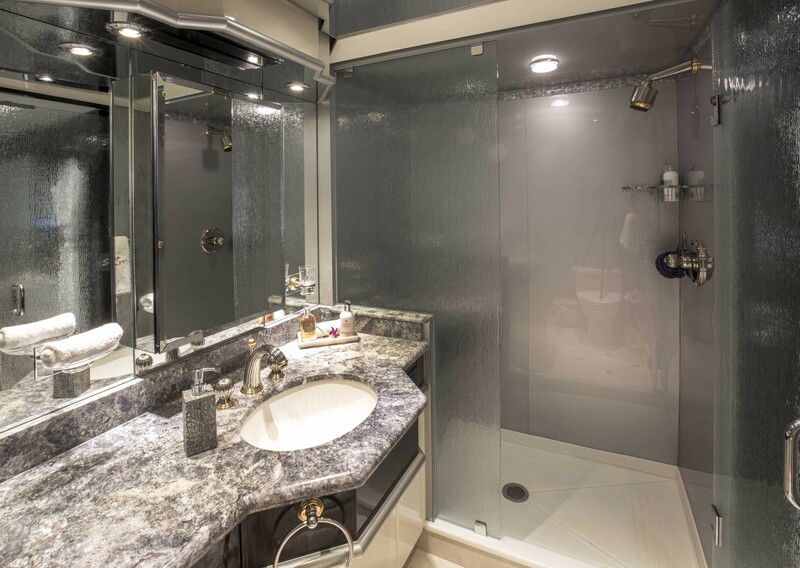 On the main deck forward is the master stateroom, featuring a full beam layout, king size bed, his and hers facilities and central shower. 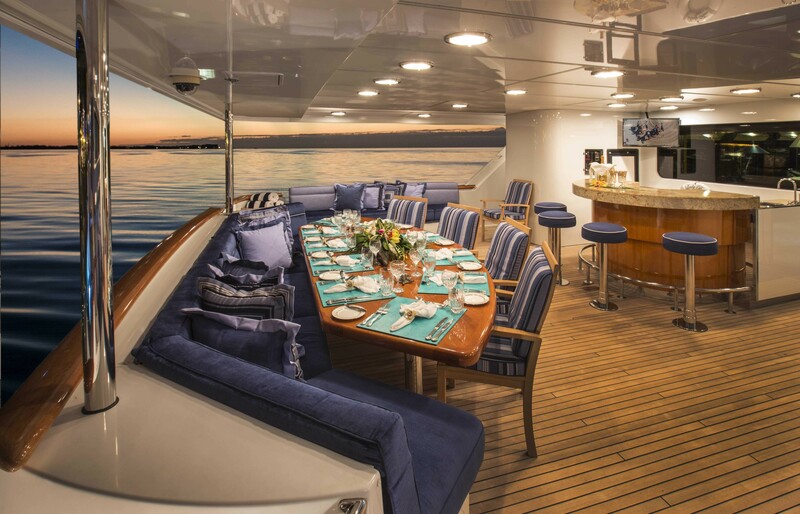 Crewed charter yacht LADY BEE boasts a spacious sky lounge with elongated vertical windows, ideal for entertaining and relaxing. 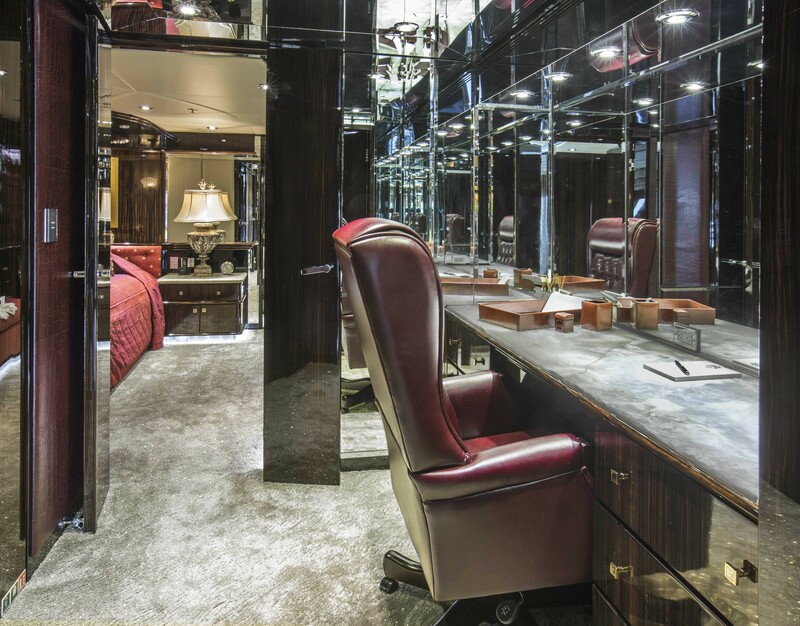 A large L shaped sofa, coffee table, study desk and marble-topped wet bar invites both an elegant ambience and casual entertainment area. 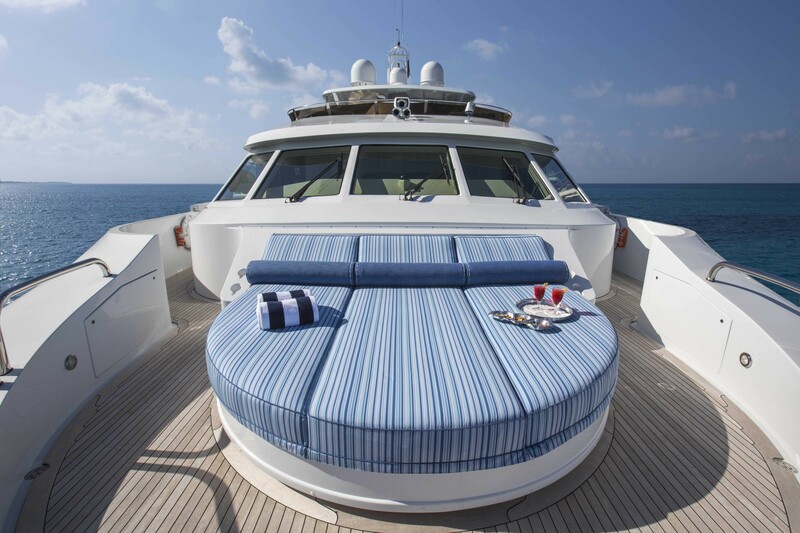 Aboard, guests have ample exterior deck space to relax. 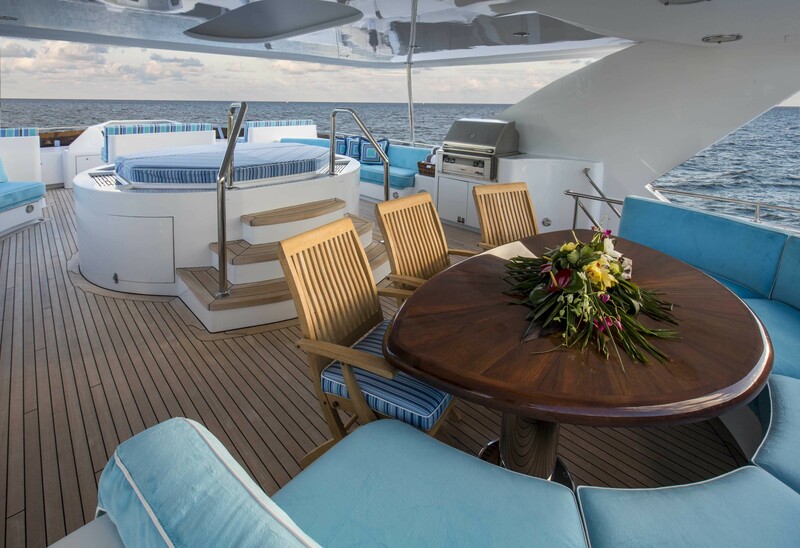 The aft deck is generous and boasts comfortable seating with three outdoor sofas, an alfresco dining option, wet bar and shade. 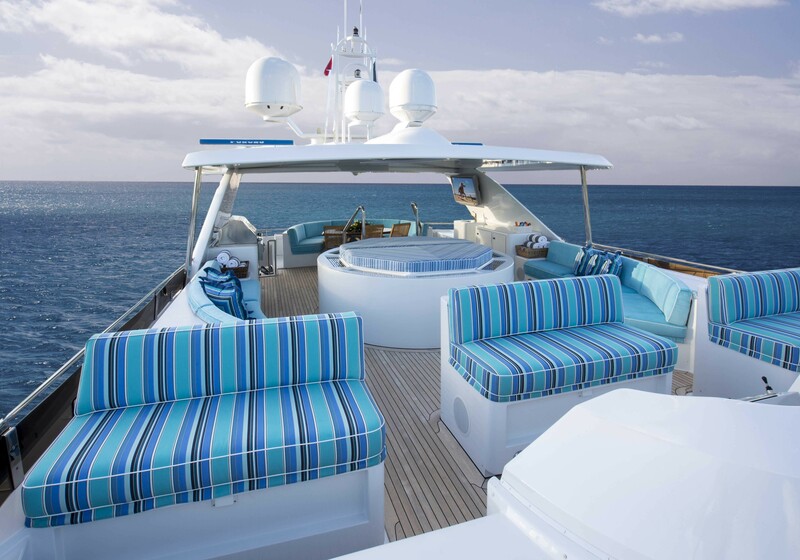 For a more relaxed atmosphere, the sundeck is complete with alfresco dining, additional seating and deluxe Spa Pool tub. 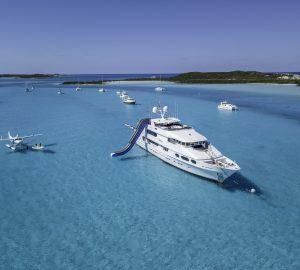 The yacht has a wide array of water toys to choose from and features an extended swim platform, allowing for effortless water access. 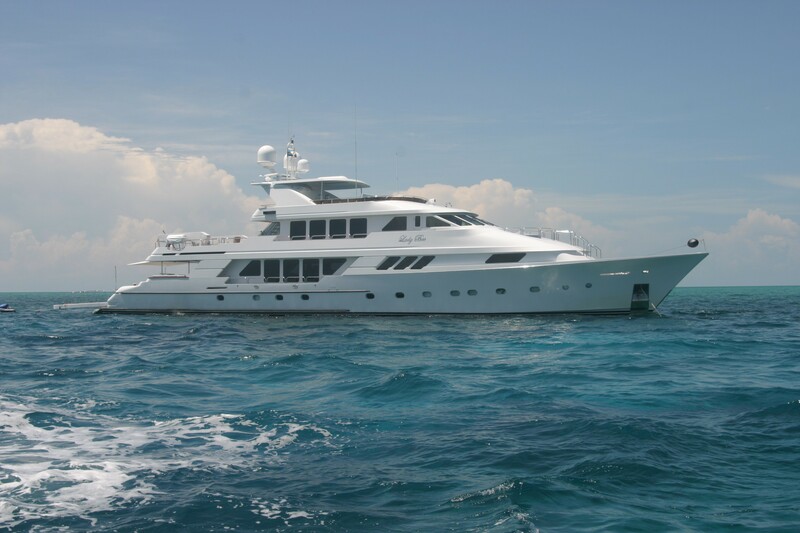 LADY BEE has a beam of 8.3m (27.5ft) and a draft of 2.06m (6.19ft), she is powered by 2 x Duetz/Manheim Marine 604V12 engines, capable of up to 17 knots. 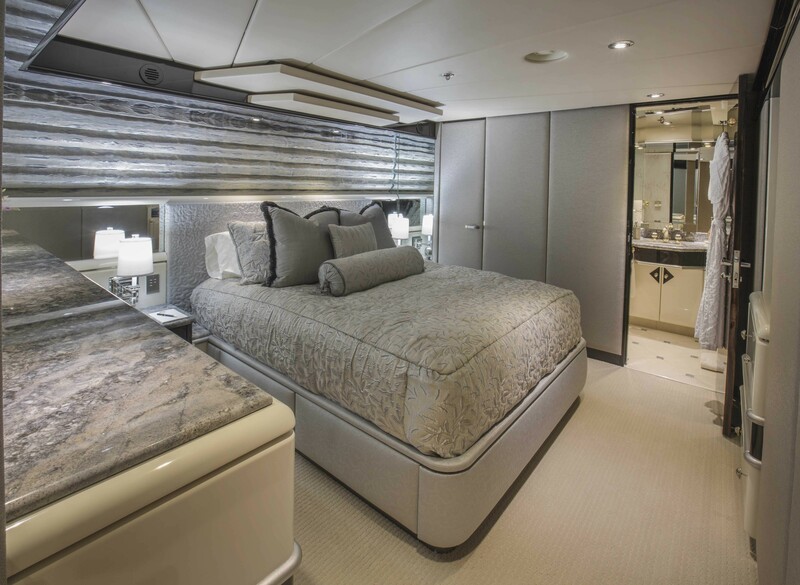 She is fitted with Naiad stabilizers for optimum comfort. 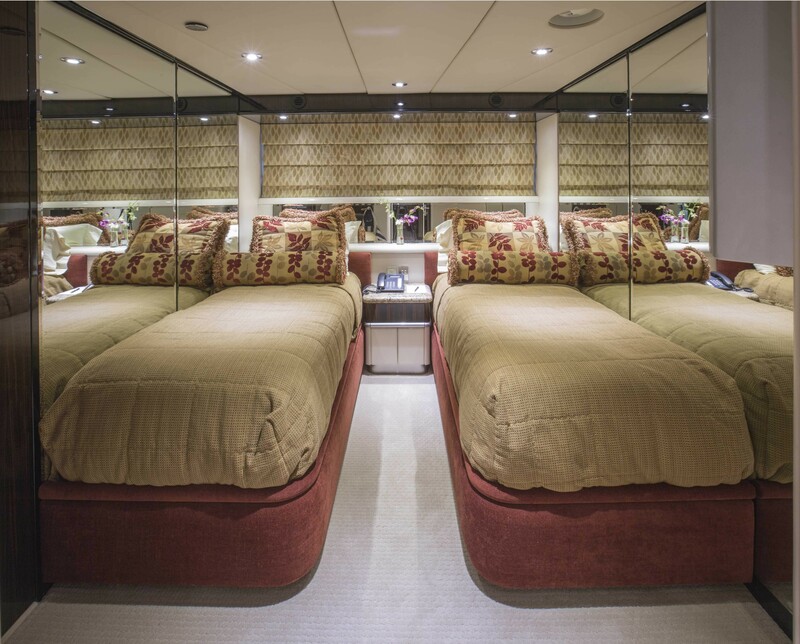 Luxury yacht LADY BEE offers accommodation for 12 charter guests, in 6 double and one twin cabin, all with private en-suite facilities and full entertainment systems. 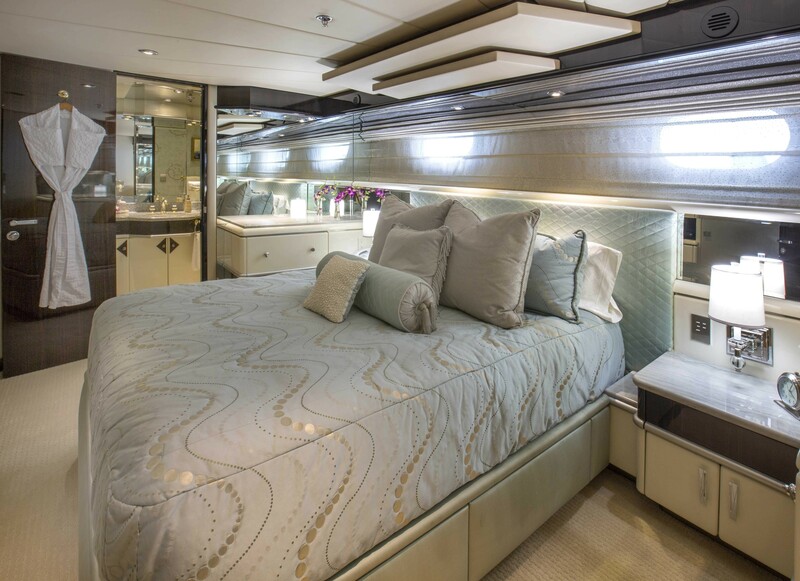 The master stateroom is on the main deck forward and full beam of the yacht, with a king size bed. 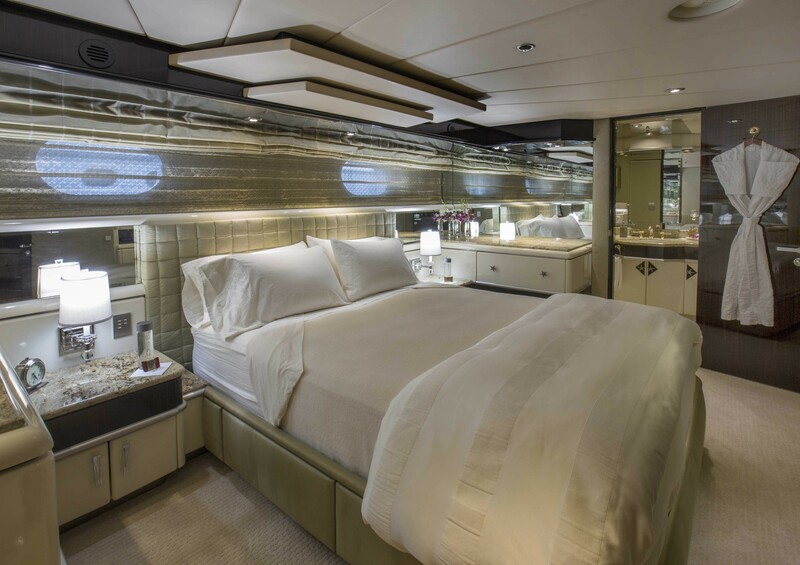 Below decks are 4 guest cabins, each with queen size beds. 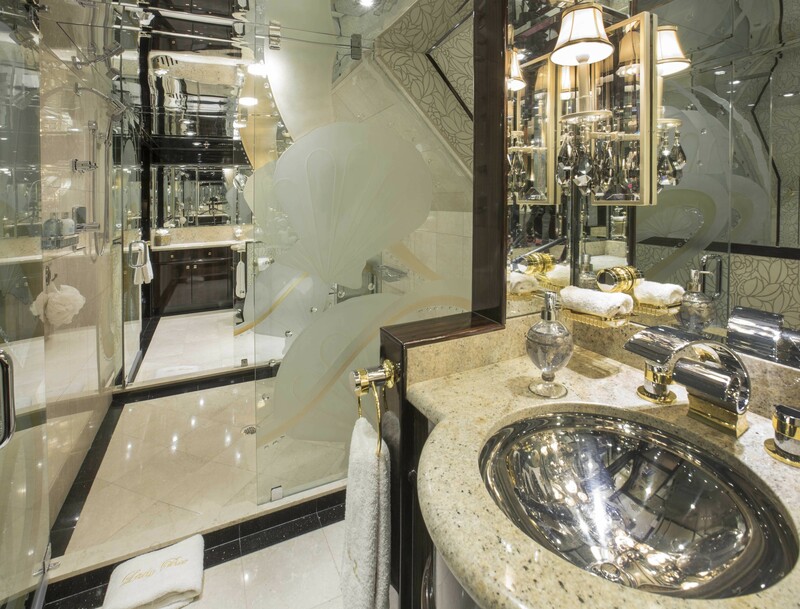 A further guest cabin offers twin single beds. 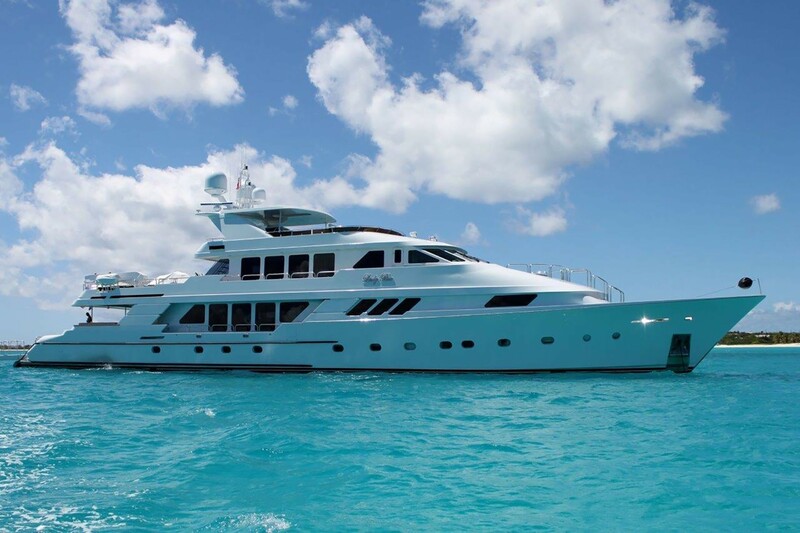 M/Y LADY BEE has a dedicated crew of 7, she is the ideal choice for families and groups of friends, offering ample interior and exterior amenities.